What? 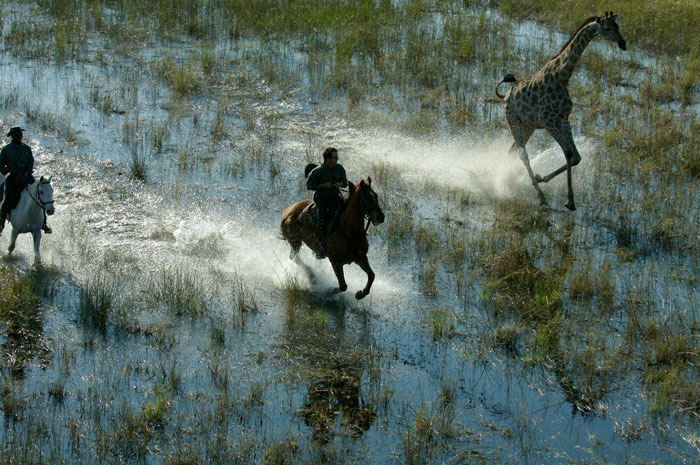 Aardvark Safaris is offering a safari experience with a real difference – on horseback. The trip combines trips to Masai Mara and the Okavango Delta along with a visit to Victoria Falls. The 13 night itinerary costs from £7,980 per person sharing including internal flights and transfers, accommodation, daily activities, all meals and selected local beverages. When? Available to book now. Trip runs from 19th July to 1st August 2014.